Today I am lazy so I’m letting my best blogging friend Desiree Eaglin of The Funny Mom Blog post a Wordless Wednesday picture on my behalf. I trust her completely and this should be mighty awesome. Hello everyone! 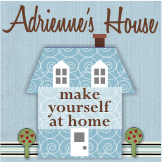 It’s Desiree Eaglin of The Funny Mom Blog here. Last week I attended Disney’s The Muppets Most Wanted Press Junket in Beverly Hills. It was a really cool experience and I felt so cool being a part of it. I have a thing for little green men (and I have a thing for Ricky Gervais’s teeth too) so I wanted to share this picture with you in honor of our “Emerald” Wordless Wednesday theme this week.